On fire, but not consumed. This is what Moses saw, to his amazement, when he saw the burning bush while communing with the Lord. 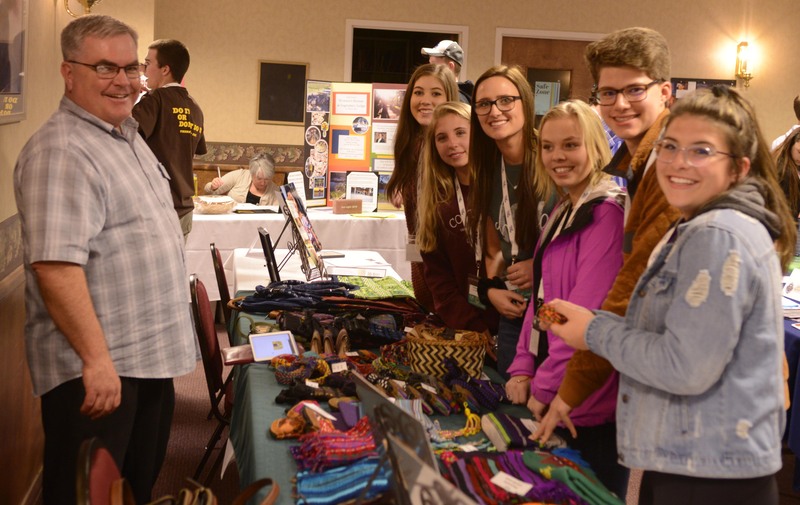 Besides being featured in the Mass readings that weekend, this passage also describes the energy and joy on display at the annual Catholic Youth Coalition Convention, held at Carroll College March 22-24. Approximately 225 high school students from the Diocese of Helena and beyond gathered in the Campus Center to pray, learn, share laughs, and invite the Holy Spirit to re-ignite their passion for the Lord and their faith. Youth at the Guatemala Mission table in the vendor court. Emcees Liz McMahon from the University of Montana, and Jamie Severson from Carroll College kicked off the weekend. “I hope that you guys are ready for all of the fun and incredible things we have planned this weekend, and that you’re open to encounter Christ amidst it all,” McMahon said. 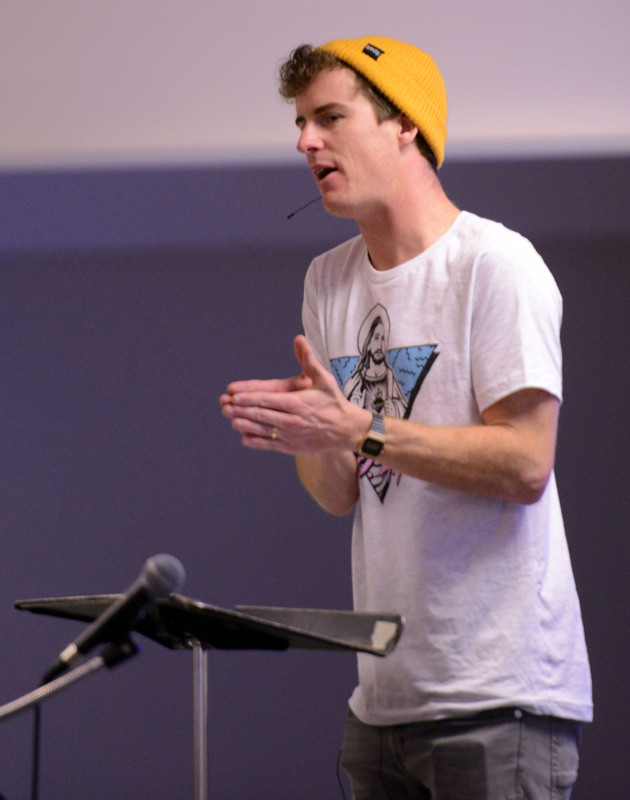 The first full day of Convention started with a bang as attendees were introduced to their main keynote for the weekend, Jamie Cleaton. In his first session, Cleaton teed up a laptop computer that had theoretically chosen to exist as a golf ball. 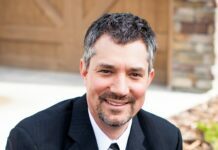 The resulting drive, and mess, helped illustrate his message that freedom and responsibility go hand in hand, especially in the spiritual life. After Cleaton’s address, students split up to attend gender sessions followed by several workshops. 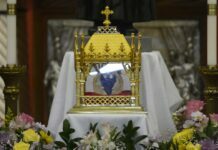 Topics ranged from prayer to Catholic Social Teaching and were led by youth ministers, young adults, priests, women religious, and members of the Catholic Youth Coalition (CYC) Board. The CYC Board also assisted in prayer experiences, games, and many other services throughout the weekend, a result of their planning over the course of the year. Some of their number also gave youth keynote speeches and shared stories of their own struggles and victories in their faith journeys. 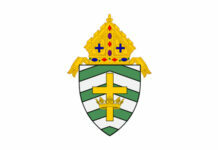 Saturday concluded with dinner followed by Mass with Monsignor Kevin O’Neill at the Cathedral of St. Helena. He urged the young people to stay close to the Lord and love generously, sharing a story of conversion from his own childhood. Students returned to Carroll to celebrate with a dance and a talent night where youth could showcase musical acts, skits, and more. Sunday morning saw Jamie Cleaton’s final address, as well as two youth keynotes and a question and answer session with Fr. Kirby Longo. The morning focused on the young people’s mission to go out ignited and ready to share what they had experienced. 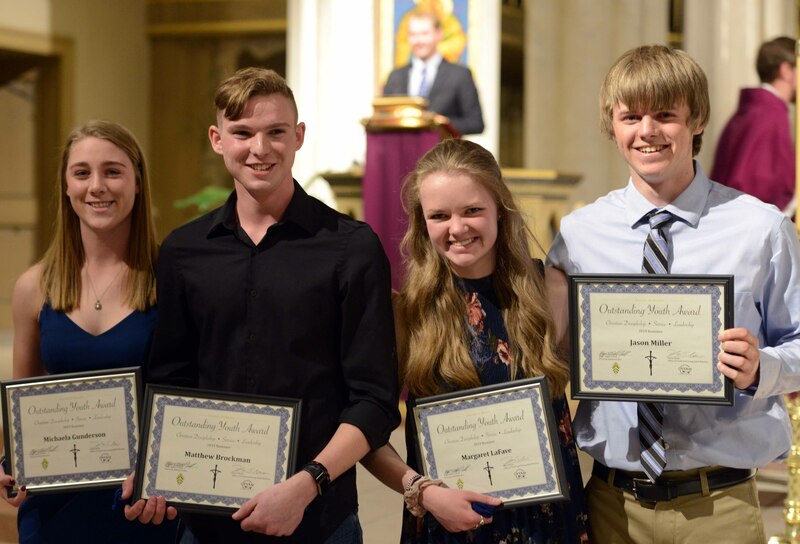 2019’s Outstanding Youth Award recipients. This year’s Convention closed with a final blessing over the senior students, and all those gathered. 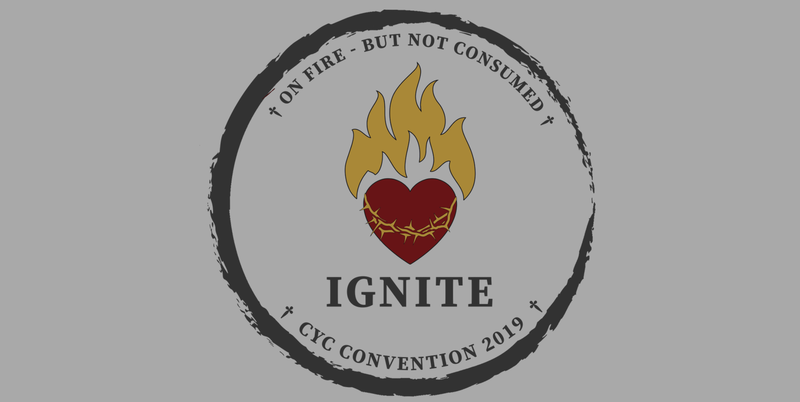 The prayer for the young people was that they would be the Church, be ignited by the Holy Spirit and go forth to live their call to discipleship; filled, and overflowing; on fire, but not consumed.